ABI Electronics will be presenting its latest products at the National Electronics Week (NEW) exhibition in Birmingham, UK. 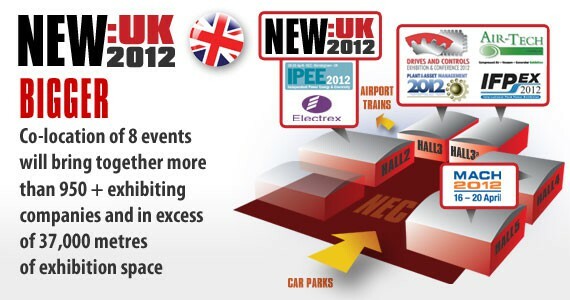 The largest platform and event for the UK manufacturing industry will take place on the 18th and 19th of April 2012 at the N.E.C. Spanning sectors from design to final manufacture and championing areas in live production, wireless, embedded, components, design, test, training, power supplies, power electronics and much more, this event offers you an ideal platform to source products and services related to electronics design and manufacturing. The 2012 expo will form part of the UKs largest manufacturing event running alongside another 7 industry events spanning more than 37,000 sqm of space and giving you the opportunity to see around 1,000 exhibiting companies. Entrance is free ! Visit ABI Electronics and its UK partner Cupio Ltd at stand 157/C14. Click here to view the NEW exhibition website.